I love Sundays! They are so relaxing, we slowly get up and make it to church by 11am. I can't sleep in, I hate it sometimea but I get a lot done in the mornings! :) So this morning I made my famous Crepes! 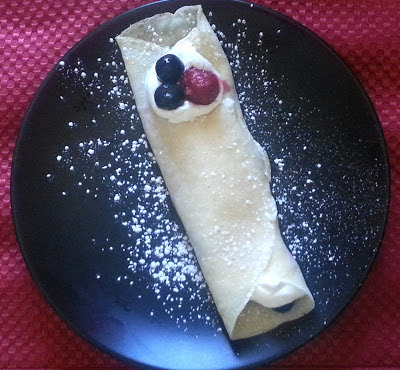 Seriously, my Crepes are famous with my family and friends so I thought I would share the recipe! I like the way they turn out when I cook them on Medium on the stove or 250 degrees on my griddle. Also, I poor about a half a cup of the mix and lift up the pan and move it around so the mix spreads out more.If that makes sense. It is super simple. We usually put fruit and whipped cream, syrup and powdered sugar or just sugar. :) It isnt the healthiest breakfast but we love them! If you have any questions feel free to ask. I hope you all had an amazing weekend! I am so sad it is ending.